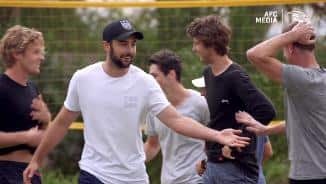 Training heats up on the 7th of February, a month and a half out from the start of the 2019 AFL Premiership Season. 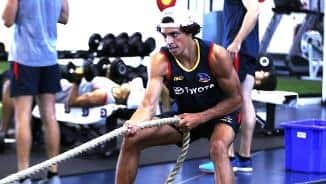 The AFL boys hit the gym in preparation for the 2019 season. 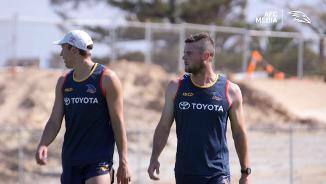 Crows players return to the track to begin 2019. 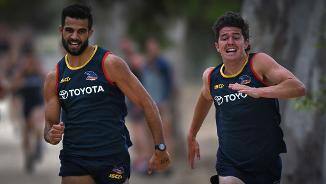 Crows players test their cross-code skills on day two of pre-season camp. The boys sweat it out on the track at Football Park. Pre-season officially begins for the entire playing group. 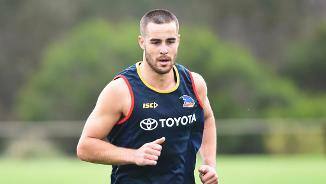 Andy Otten, Luke Brown, Paul Seedsman and Brodie Smith hit the track. 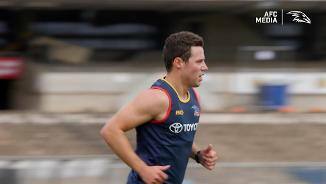 The Crows 1-4 year players hit the track for day one of pre-season 2019. 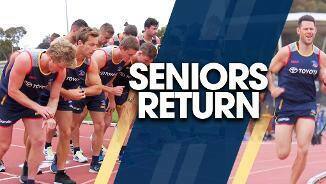 Sam Gibson was a standout on the track as the senior players returned on Monday. 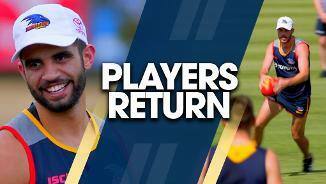 Re-live the first day of pre-season with our 1-4 year players! 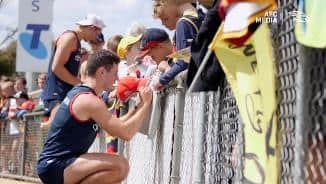 Check out all the action from the Crows last open training before flying to Melbourne for the Grand Final. 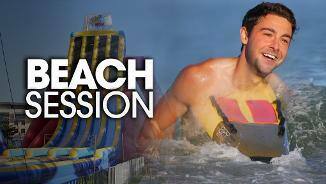 The boys hit up Glenelg on Saturday for a beach session. They also had a go at the legendary Big Wedgie! 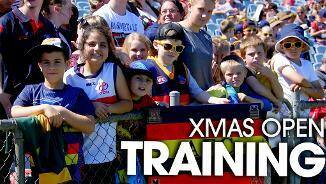 Check out the squad's final hit out for the year, which they shared with a bunch of fans young and old, with a few surprises along the way.